April 12, 2019 – Canada Beef is pleased to welcome Michael Young as the organization’s new President, effective April 23, 2019. Working with the Canada Beef Market Development and Promotion Committee, Young will lead all aspects of Canada Beef’s domestic and international market development and promotion efforts, including: strategic business planning, program development, performance measurement and reporting, and human resource management. Young has a proven track record over a 35 year career, specializing in beef, veal and pork sales, marketing, product development and product education. His career has given him opportunities to work in over 25 countries including key Canadian beef export markets such as: the United States, Japan, China, Taiwan, South Korea, Mexico, and smaller markets in Southeast Asia and South America. “Given his strong global market development expertise and experience, we are confident that Michael will lead our organization forward – especially as our industry moves to take advantage of international trade agreements such as CPTPP in the Pacific Asia region, and CETA in the European Union. We are confident Michael can help further develop domestic and international demand for Canadian beef thus enhancing the value Canadian beef cattle producers receive for their check-off dollars,” concludes Kennedy. 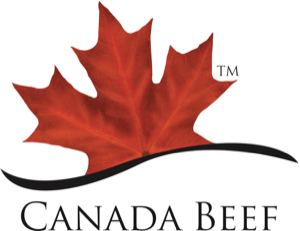 Canada Beef is the cattle producer-funded and run organization responsible for domestic and international beef and veal market development. It has 28 staff in offices in Canada, Japan, China, Taiwan and Mexico. Canada Beef works to enable and sustain loyalty to the Canadian beef brand and build strong relationships with trade customers and partners around the world. These efforts increase demand for Canadian beef and the value producers receive for their cattle.